Today is the one year anniversary of when we adopted Paco, Paz, and Pepe. As with any significant passage of time, it’s hard to to believe it’s already been a year and at the same time, even more difficult to believe it’s only been a year. I feel like we’ve known each other forever, yet still manage to get surprised when new behaviors crop up. Either way, time flies when you’re having fun, especially when that fun is with not just tou-, but Three-Cans. They have changed my life in a myriad of positive ways and I am so grateful they found their way into my now 3x larger heart. I am a big fan of self-cleaning animals (actually, self-cleaning anything, for that matter). I have given my fair share of stinky dog baths to be able to genuinely appreciate the perfect beauty of an animal that tends to its own hygiene. Toco toucans are not just clean, but meticulously so. Exhaustively rubbing and scrubbing their beak after every drink, every bite of food, to ensure they’re not embarrassing themselves bopping around with banana smeared on their face. They bathe more frequently than some humans I know – drenching themselves thoroughly and preening their feathers to a fluffy sheen. The best part is they always smell so exquisitely fresh, an indescribable clean toucan essence – I wish Yankee Candle Co. would make a special edition scent of it. I am absolutely certain it would outsell that clean laundry disaster of a fragrance in record time. Their main communicative noise, their purring sound, is one of my favorite notes in nature. The unique trill of covert origin is music to my ears whenever it’s uttered, regardless of whether it’s intended in happiness or warning. I LOVE that toucans are hoppers. Nothing against any of the other birds who walk, but the toucan hop is the finishing touch on their bright, enthusiastic spirit. I was initially shocked at the amount of food that goes into those tiny bodies each day but when I saw how much came out, it all made sense. Tocos eat about every 15 minutes and therefore, go to the bathroom at roughly the same frequency. Their fast metabolism is a huge benefit for training, as they’re always willing to work for blueberries, no matter when they last ate. I enjoy filling their tummies with deliciousness and it’s an ideal match that they are almost always hungry for more. Cuddling with Paco is one of my favorite things in the world to do. Burying your face in his fine, wispy neck feathers with your eyes closed is like finding solitude in your favorite childhood stuffed animal – except Paco is real and warm and cuddles into you right back. I walk around this island feeling bigger than Bieber due to the wild toucan greetings I receive every time I emerge from my front door. I’m trying not to let it go to my head but I do have to admit my personalized toucan lyrics that I croon just for them are quite inspired. I would miss me too. Okay, sorry – I said I’m trying. I both adore and envy their commitment to maintaining their tan. At the first sign of a ray of sunshine, their wings are spread, head cocked at an angle to absorb it fully. The way they zonk out in the beaming heat seems to be their specialized toucan meditation, one they continue to master with time. Few things delight me more than watching the Three-Cans’ delight for their toys. To see them eagerly peer into a box, the anticipation of the treasures that lie within tickling them with excitement, is pure bliss. The way they bounce around in toucan joy, purring happily when finding a prized piece, never fails to bring a smile to my face. It literally (okay, fine – figuratively) melts my heart each time I witness or am on the receiving end of this signature toucan gesture. While most animals squirrel away their treats, protecting them tooth and nail should anyone try to part them from them, toucans are charmingly the opposite. It is a toucan courtship behavior to pass food in between their beaks, but I’m here to tell you it’s not just any food, it’s the best food – the crème de la crème. Whenever they get their beak on something they consider primo supremo – be it the flawless blueberry, the perfect-sized chunk of papaya, or even their most cherished toy – their first instinct is not to keep it for themselves, but instead, to selflessly give it away as an offering of their undying affection to the one they love. Seriously – your heart actually melted just a little bit, right? Happy Anniversary Paco, Paz, & Pepe – here’s to many, many more happy years in our toucanlicious life together. You are the peanut butter to my jelly, the sun in my sunrise, the snazzy umbrella in my island cocktail. I love you a million, billion, zillion. “We’ll be friends forever, won’t we Pooh?” asked Piglet. 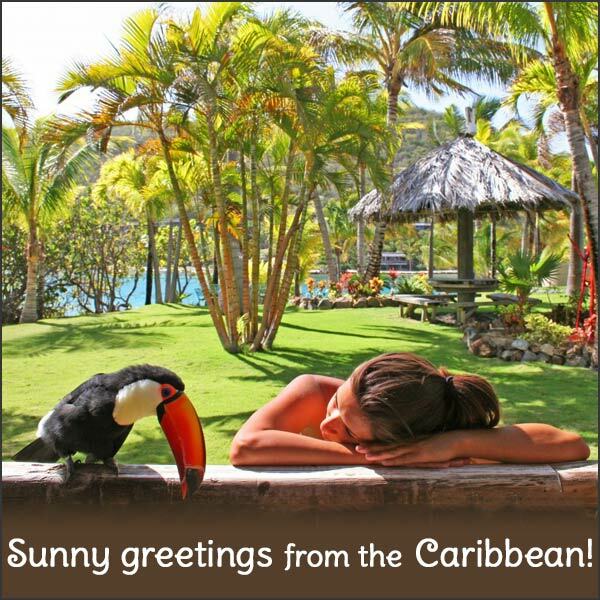 This entry was posted in General Info, Lists and tagged adopted, Adventures in Toucanland, anniversary, bird, birds, BVI, Caribbean birds, exotic birds, exotic pets, island, Paco, Paz, Pepe, pet, pet bird, pet birds, pets, Saba Rock, Toco, Toco Toucan, Tocos, top 10, Toucan, toucan love, toucanland, toucans, tropical birds, tucan, tucans by Toucan Lady. Bookmark the permalink. Wonderful story and many happy years to share!